Dolphy’s improvisations have a hectic, can’t-hold-me-back quality that makes Ornette Coleman sound sedate by comparison. Dolphy’s lines make acrobatic leaps over intervals too wide to sound singable, but there was always a voicelike yawp to his tone. 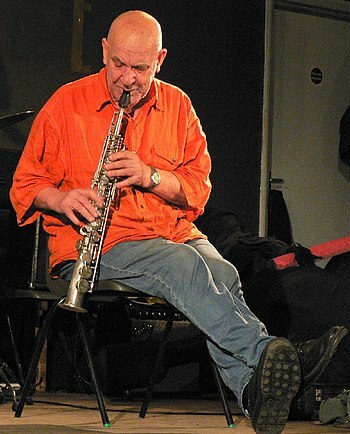 On bass clarinet — an instrument he had all to himself as a soloist — his sound is as raw and woody as a broken branch. It bursts with abrasive and changeable overtones. Much the same is true of his alto saxophone playing. And it wasn’t just the music — it was how the rhythm section manhandled it. Melissa Lesnie is interviewed about working with John Zorn, in anticipation of performing Zorn’s works in Adelaide. I first worked for him in November 2012, premiering Holy Visions for New York City Opera’s Vox Festival. I was introduced to Zorn by Lisa Bielawa, who in addition to her incredibly busy life as a composer is also a fab soprano. She was singing in the Vox project but had to pull out so she recommended me to the other singers in the group. Luckily for me, Zorn liked my sound and approach and I’ve been working with him since then. Lisa will be singing in Adelaide too. It’s a really lovely, tight-knit group. And let it be set down, Bob was one of the most amazing composers of the 20th century, and the greatest genius of 20th-century opera. I don’t know how long it’s going to take the world to recognize that. And it hardly matters. He knew it. That the world was too stupid to keep up was not his problem.